I finally made my first trip out to New York last week. Yes, I’ve never been there. I know, it’s shocking. Since the trip was for work, I didn’t get to do too much sightseeing, but I did get to experience two true New York experiences: Times Square and NY hiphop. Of course, the day we flew into the city NY was pretty much in gridlock because not only did we happen to arrive the night of the tree-lighting ceremony, but Obama was also in town. We weren’t able to push our way through the crowd to actually get to Rockefeller Center and see the tree (Bieber was performing), but we did manage to sneak through to Magnolia’s Bakery for some sweets. 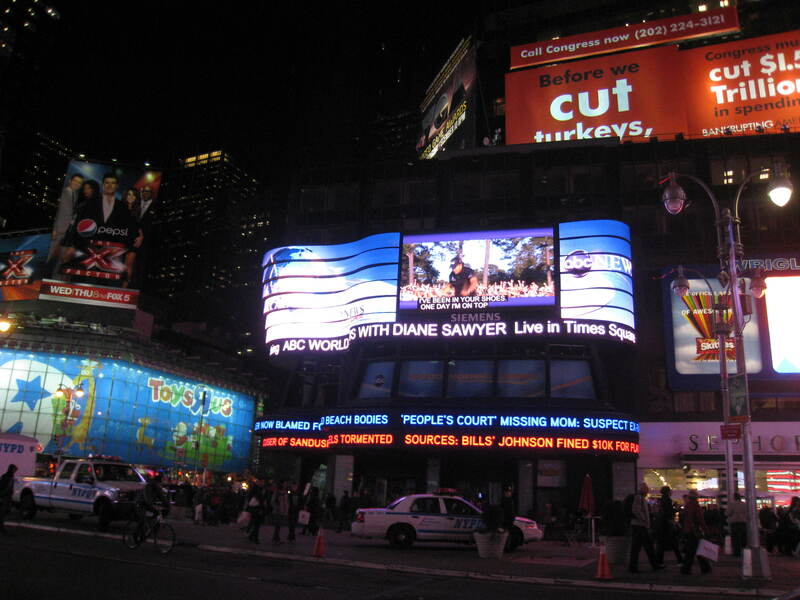 Maybe because everyone was watching the tree lighting, Time Square actually wasn’t that bad. I got to see where Good Morning America is filmed (my morning show of choice) and the lights really did light up the entire night in a way unlike I’ve seen anywhere else. 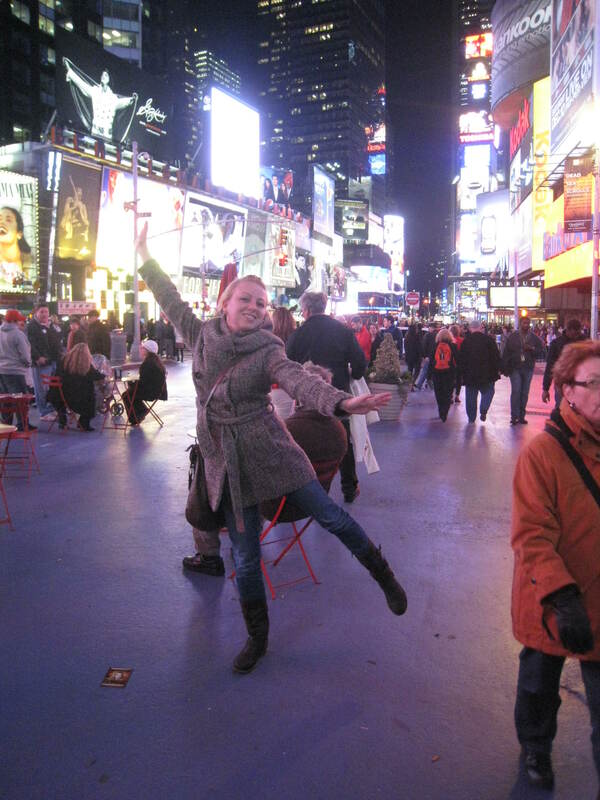 Me in Times Square. Man, I'm graceful! 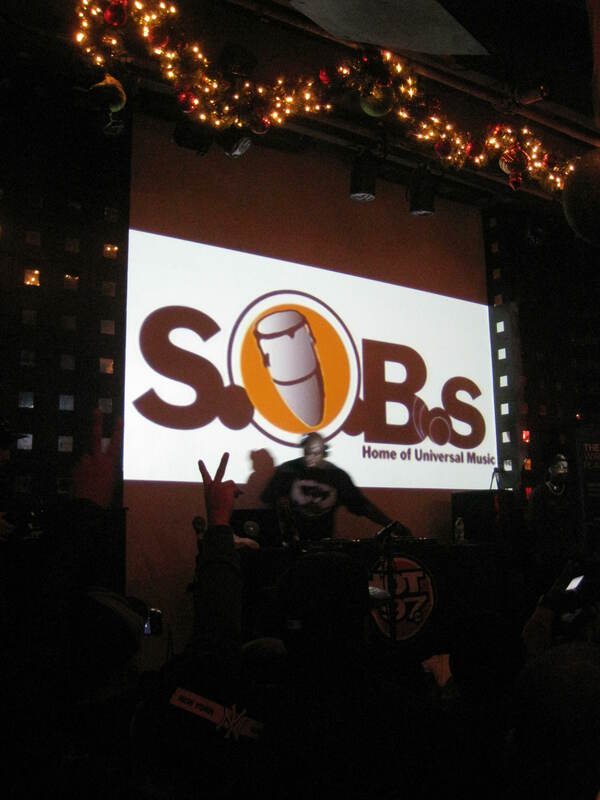 After braving the New York subway system (and only getting on the wrong train once), we finally made it to SOBs to catch Mobb Deep, courtesy of Muve Music (client). What better way to spend your first night in NYC than to catch one of the most iconic East Coast rap teams? Plus, the DJ that opened for Mobb Deep (Mister Cee) snapped, playing all the classic NY hiphop joints from back in the day. 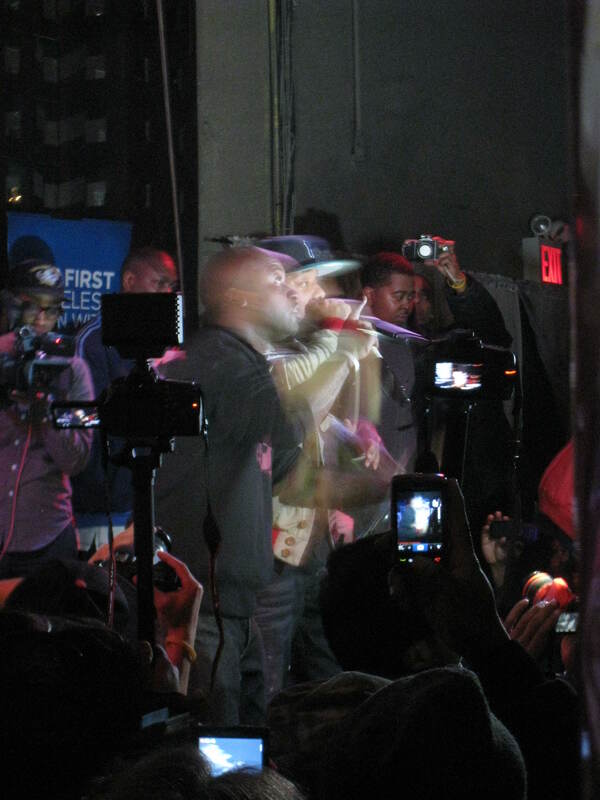 Plus, one of the opening acts was this London rapper, Jamieson, who I really liked. He even busted out some Spanish in his songs and was quite easy on the eyes. The only weird thing to me was that when Mobb Deep came on, the entire stage was flooded with people videotaping the show. They even outnumbered Mobb Deep’s own crew! I totally get that it’s the age of social media and people want to get exclusive video footage, but for me, it really kind of killed the vibe a little.